Home / Blog / How to set a table for formal occasions – summer dining special. What a July we’re having! Summer has certainly arrived, and with it, the season for entertaining. With the longer, lighter and warmer evenings, we’re all emerging from our winter hibernation and wholeheartedly embracing dinner parties, weddings, picnics, barbecues and outdoor parties of all description. Obviously lots of these occasions are casual and paper plates, plastic cutlery, paper napkins and fingers will often do nicely! Some events however demand a bit more formality and a certain etiquette. 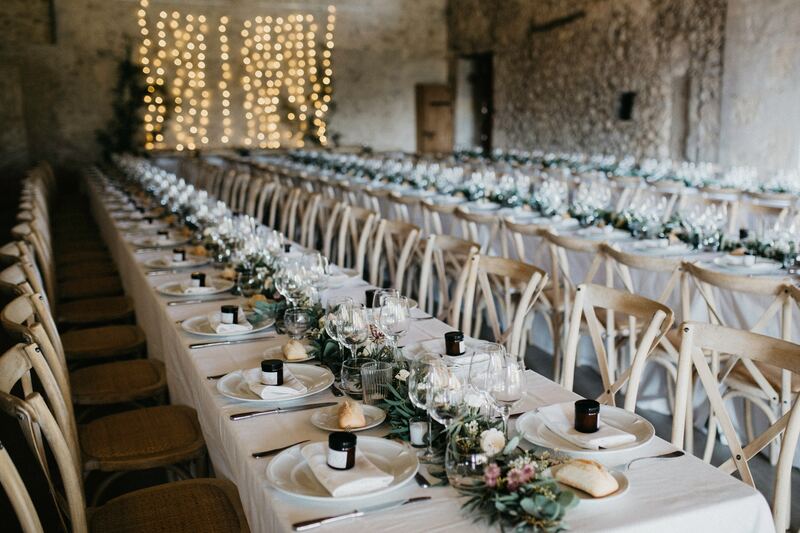 So If you’re throwing a formal dinner or party this summer – or even organising a wedding reception, here’s all you need to you know about how to set a table for the perfect dining experience. Use a good weight cotton or linen tablecloth. Lay a matching place mat. Place a charger plate in the centre of each place setting. Place a dinner plate on top of the charger plate. If there’s a soup or salad course – place the soup or salad bowl on top of the dinner plate. Place forks to the left of the plate and knives and spoons to the right, knives facing inwards, forks with the prongs facing up. Work inwards according to the order of courses. Eg, starter fork, fish fork, dinner fork, on the left, or soup spoon, fish knife, dinner knife on the right. 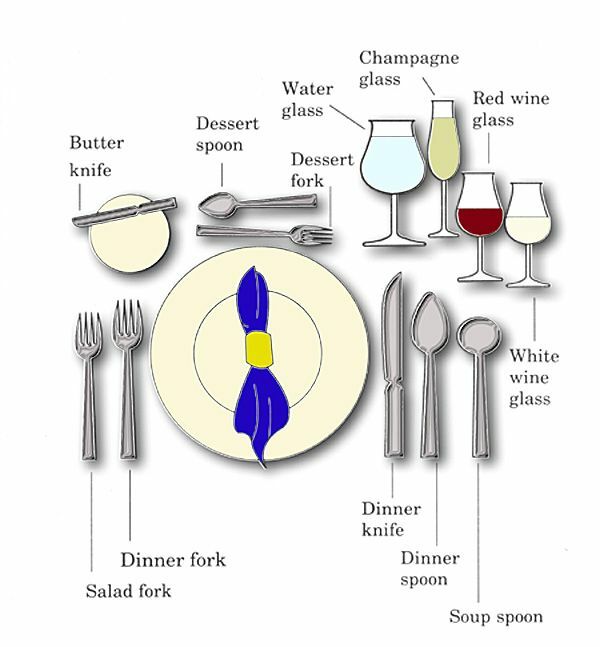 Place a side plate and butter knife to the top left of each place setting. 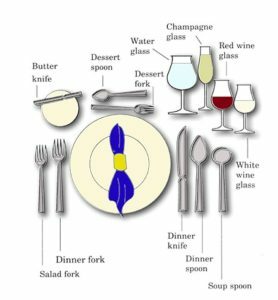 Lay the dessert fork and spoon at the top of the place setting, with the fork pointing right and the spoon pointing left. Place a water, then red, then white wine glass clockwise from the top right of the table setting. Use a good cotton or linen napkin and arrange in the middle of the table setting, or if simply folded, place it on the side plate or under the forks on the left. The wedding table (depending on the formality of your wedding) follows the formal table setting principle but with a few variations. 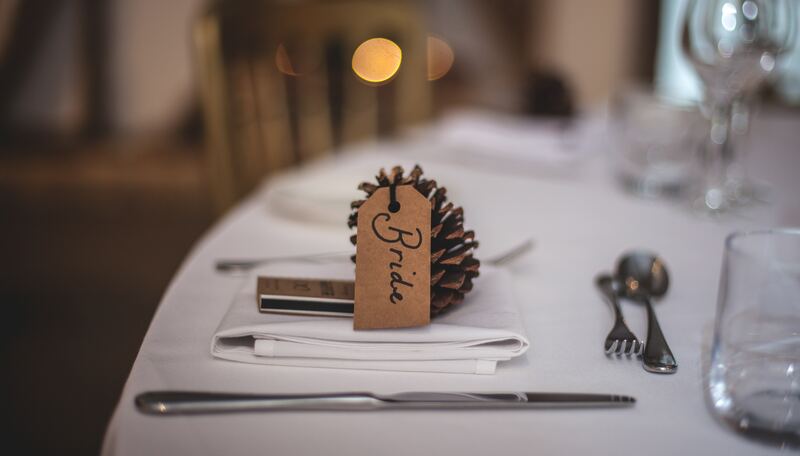 Menus – individual printed menus can also be placed in the centre of the place setting, or in a fold in the napkin. Favours – again, a totally optional extra, but it is often nice to incorporate as part of the table setting decoration. Floral decoration – your wedding tables will usually have a single floral centrepiece for a round table, or a with the increasing trend for long, narrow tables, a long garland style of floral decoration. Allow enough space for your floral centrepiece when setting the table places. Use heavy cotton or linen tablecloths which will not shift or slip as guests are passing. If you have enough space, place the table in the centre of the room so that two lines of guests will be able to serve themselves on both sides of the table at the same time. If you manage to do it this way, divide up each dish onto two platters to place on opposite sides of the table with serving spoons and forks. Divide the main dish into two and place one platter at each end of the table. Stack the plates beside each main platter and arrange the cutlery and napkins by each set of plates. Place two sets of the other dishes, bread, dressings and condiments along both sides of the table. If you only have room to put the table against a wall, place the main dish, plates and cutlery at the end that works best for the flow of guests. Place glasses and drinks on a separate side table so as not to disrupt the flow of people. We hope this has given you a few useful pointers on how to set a table for formal entertaining. To celebrate the fabulous season of summer dining, we are offering 25% off our luxury table linens. Use code NAPKIN at checkout. Click here for details. Dormitory also offers a bespoke table linen service for weddings and special occasions. For more information, contact us here.